At 87 years old, Carroll Davis is still a work in progress, as he continues to pursue his life’s love and passion of art – and even more so today, having overcome a double pulmonary embolism and cheating death in the process. 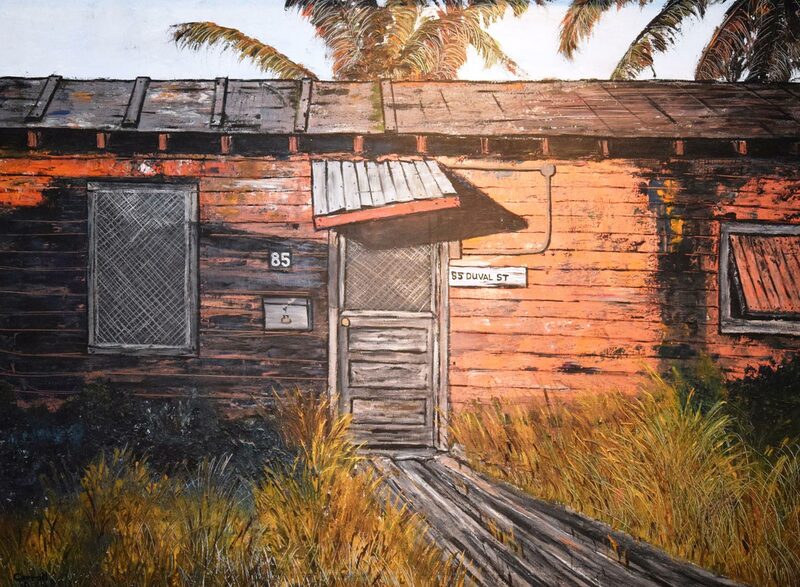 Perhaps what is keeping him so prolific in his work is that he maintains an incredibly rigorous routine for a man of his years, making the best of life in his studio inside his apartment home in East Ridge at Cutler Bay where he currently resides with his wife, Jacqueline. Yet after all these years and having lived in so many exotic spots around the globe, Davis recounts that life-changing moment for him when his parents, unsupportive of his dreams and aspirations, wanted him to pursue a law career and put aside his love of painting and art. Carroll Davis and wife Jacqueline. His father was a hard-nosed businessman raised the hard way, born in 1880 Texas. Founder of the nationwide auto parts chain Western Auto (remember Davis Tires? ), Davis credits his dad with making a fortune and being a man of the world, yet he could not bring himself to support his son’s aspirations as an artist. Nonetheless, the young Davis persisted. Today, he believes “The more recognition you can achieve, the better.” One of the most recent paintings, from his China series, sold to a wealthy South American collector. He is also proud of the painting he sold to Chase Manhattan Bank years back which remains in their permanent collection. Through exposure here in Miami, he hopes his art will continue to be displayed around the world.